Our pillow inserts - pillow forms are quick to plump. You will find our pillows plumper and fuller than many others available in the market. Kids connect to flowers and colors very easily. 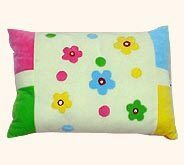 Beautiful flowers are designed especially for kids on the cushions, pillows and bolsters. They will look at them and feel happy. Our products are available in a variety of designs, dimensions and at a variable price range. 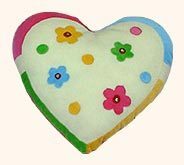 Desc : These creme colored heart shaped pillows are decorated with yellow, green, blue & red colored floral motifs and border. Desc : Portraying colorful & mesmerizing floral designs, this rectangular cushion will make the kids feel softness of delicate flowers. 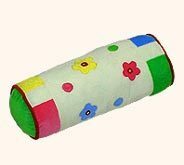 Desc : Beautified with the patterns of variegated flowers, these bolster cushions can be placed on the beds, sofas, chairs, cradles & strollers. 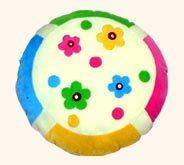 Desc : This charming round pillow having floral designs will be extremely loved by tiny totes due to its soft & comfortable feel.